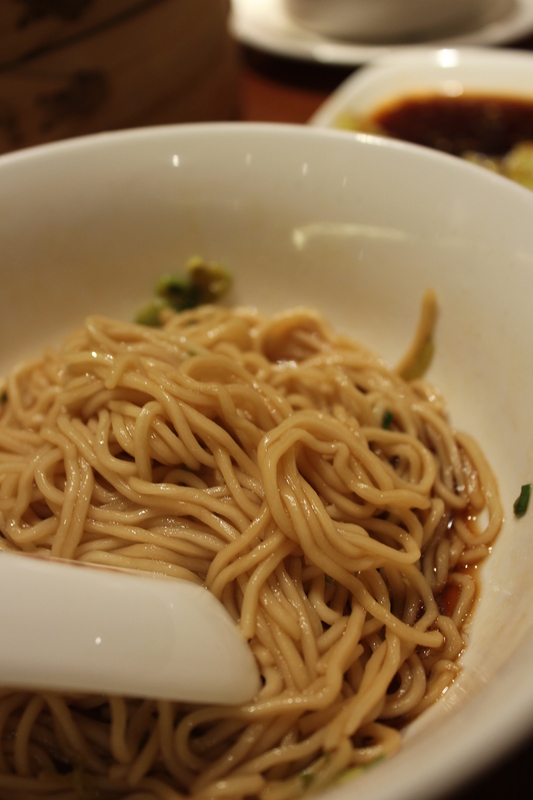 Din Tai Fung requires no further introduction on my part. Cold appetizer of cucumber slices lightly doused in a mixture of vinegar, sesame oil and chilli oil (as far as I can tell). 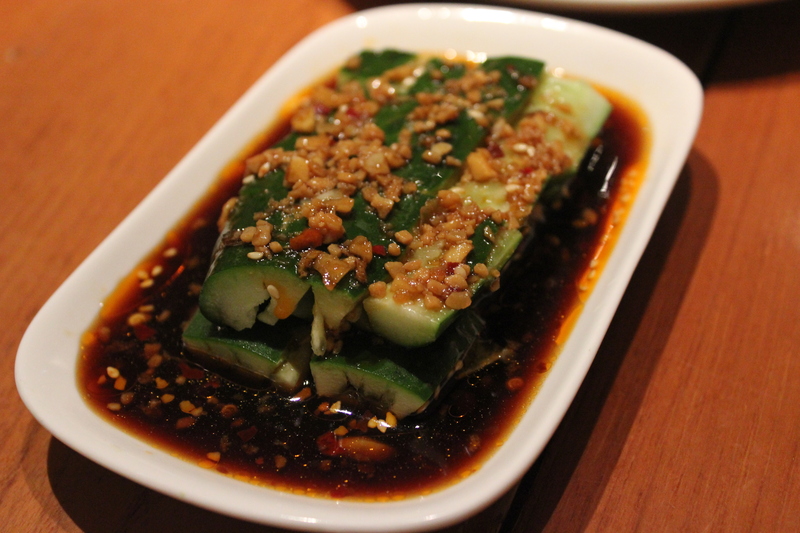 The delicious sourish tang of the vinegar, fragrant sesame oil and the spicy kick from the chilli oil complemented perfectly with the cooling cucumber chunks. And chopped garlic is always the favourite for mum and I, we just love the pungent aroma and slight kick we get from eating it! 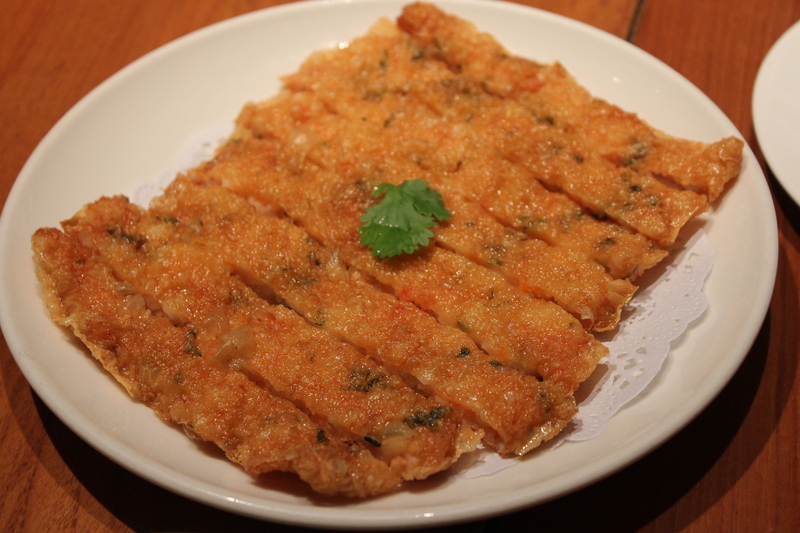 It’s a pity I’m allergic to prawns because this fried prawn cake looked and smelled so good. It didn’t really help that I was starving too. Mum devoured this all on her own, claiming that she was having a really bad craving for it. This is a pretty big serving so try not to attempt it on your own. 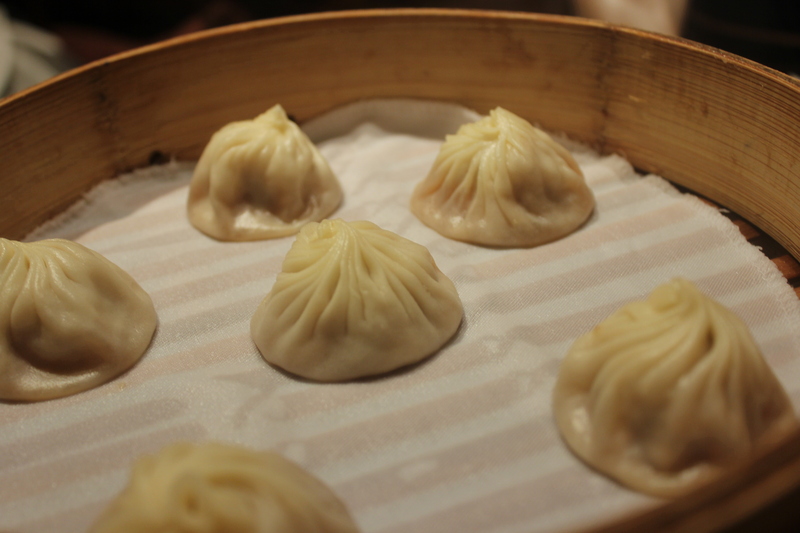 The Xiao Long Baos I believe, require no further introduction. 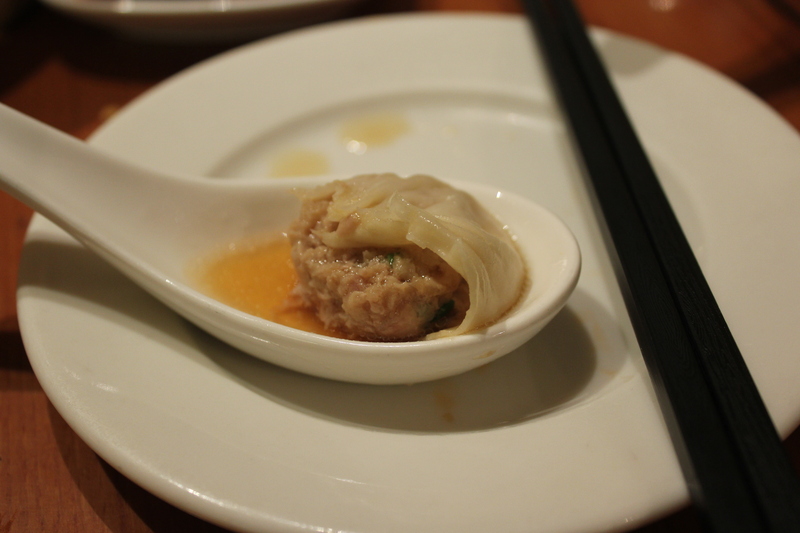 Din Tai Fung is afterall synonymous with these bite-sized meatballs wrapped in a thin layer of skin. The volume of soup inside was by far one of the most amongst all the xiao long baos I’ve eaten in chinese restaurants but the skin really disappointed this time. Maybe it’s the mass production during lunch time but the folds on top were a tad too thick and hard for me to enjoy. 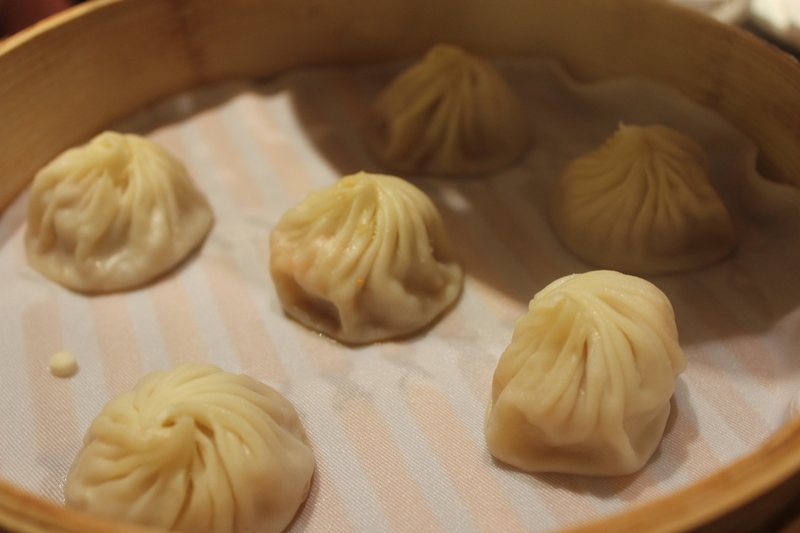 I should also add that they came lukewarm, not piping hot which is really crucial for xiao long baos as they tend to harden drastically as they get colder. We were obviously a over ambitious ( I blame it on mum who refused to listen to my advice and over-ordered!) with 12 xiao long baos to share between us. Truthfully speaking, mum and I don’t consume a lot of meat and this time dad wasn’t here to help! 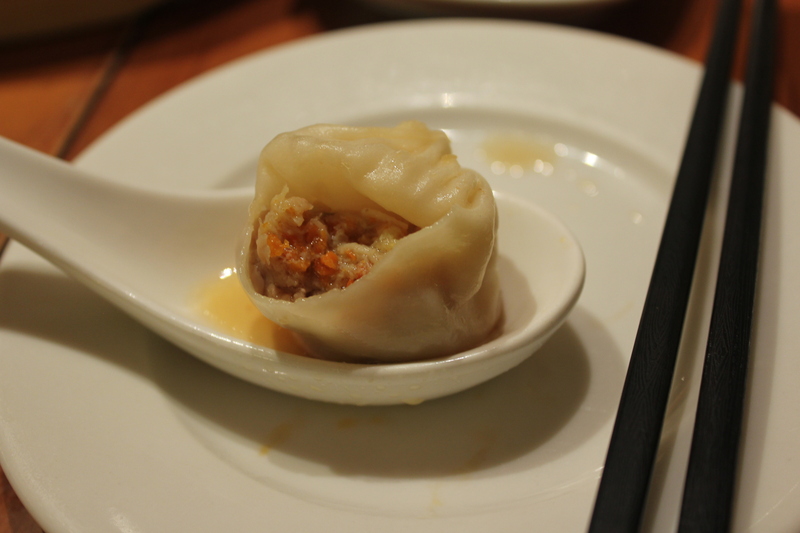 The second batch of xiao long baos have the crabmeat and meat filling. They are slightly bigger, but still as juicy as ever. Loved the added sweetness of the grated carrot incorporated in the filling. Some plain handmade noodles to go with everything. Soft and springy, these did not fail my expectations. Paired with wholesome chicken soup (not pictured), it was satisfying to say the least! I was disappointed with the standards of xiao long baos that day. Hopefully it will not be a permanent problem.